Texturedsurface Gypsum Composite 3d wall panel is light weight glass-reinforced panel, with high strength, impact resistant and Superior fire retardant properties that allows code-compliant installations in a variety of public and private structures. Our lightweight 3dwall panels can be applied to virtually any surface. They’re easily installed on walls, ceilings, and outdoor surfaces. 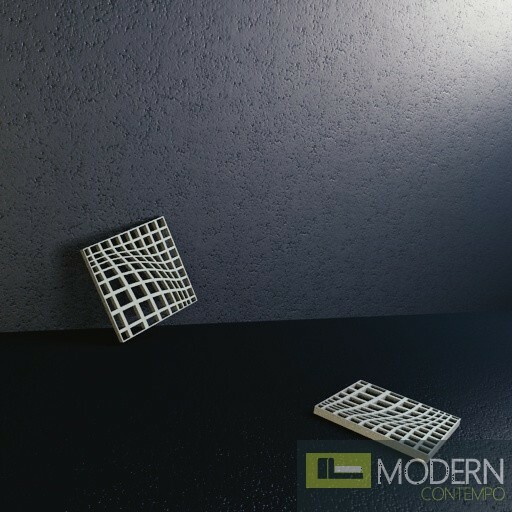 Our 3d wall panels are manufactured from locally sourced recycled composite materials with extraordinary non-toxic and eco-friendly organic qualities, suitable for interior and exterior use that's perfect for Commercial and residential applications ranging from feature walls to fireplace surrounds and kitchen backsplash. MATERIAL: High-density paintable glass reinforced composite Gypsum. We try as much as possible to get all orders to customers in a timely fashion. PLEASE READ CLICK ON( ADDITIONAL INFO TAB) TO AGREE TO OUR TERM OF SALE. Moderncontempo stands behind its product, and we want to take all the stress out of your order. We ship all over the country, from California to Florida. Our 3d panels like most minerals based products are fragile by nature, and on occasion damages can take place during transit. If you receive any damaged panels in your shipment, please follow the policies below by calling or emailing us right away and we will ship out replacement tiles immediately, at no additional cost to you. If you receive a damaged shipment, follow these steps for quick replacement of your shipment. 1.Accept the shipment and if there is any visible damage on the exterior of the crate or box, please make sure to write on the BILL OF LADING “shipment arrived & received damaged”. This will allow us file a claim with the insurance company. 2. Open each box after receipt and inspect each panel individually to know how many panels were damaged in transit. a) POD (Proof of Delivery Receipt) & signed Bill of Lading. b) Pictures of Damaged Tiles. c) Number of pieces damaged. 4. We will ship your replacement tile immediately. Upon initial receipt of the shipment, look for any indication of damage on the outside of the cartons or packing material. Notate any damage on the POD provided by the driver, this will ensure a faster turnaround on filing the claim and re-shipping the product. Please make sure to indicate that the shipment was received damaged if you notice any dents or damage to crate or box. The drivers usually will not wait to give you time for inspection so if there’s any doubt, write “Shipment arrived & received damaged”. If you have received a damaged shipment, please contact our Customer Service Department at 1.888 268 7521 for assistance. You can also email your damage to info@moderncontempo.com. Please have your Order Number and Tracking Numbers ready to ensure a quicker turn around for your replacement shipment. DO NOT DISCARD any of the damaged material or packaging. Once reported, the damaged material is the property of the carrier, by law, and they have 120 days to decide if they wish to inspect, pick up or advise to discard the damaged material. Moderncontempo cannot be held responsible for any damages or shortages. The carrier is responsible once the product leaves our possession. 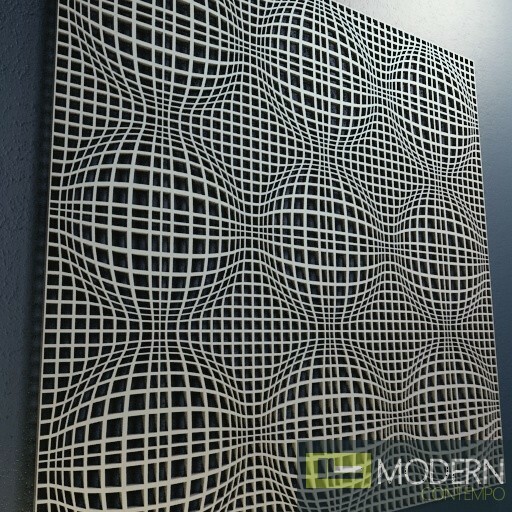 At Moderncontempo we understand that your order of our 3d panels can be extremely heavy. We also understand that the materials extreme weight may require several trips to safely transport everything to the installation location. Moderncontempo is pleased to offer 15 days of free storage from the date of purchase. A storage fee of $10 per day after the first 15 days will be applied to any order that has not been completely picked up. Any applicable storage fees must be paid in full before materials will be released. Customers must provide 3 items of verification at the time of pick up. You must provide your online sales receipt, a picture ID, and the purchasing credit card you used to make your purchase online before we will release the product from one of our retail locations. For second party pick up, you will need to provide the same 3 items for verification and fill out the below section with the person or service that is picking up the order. The person(s) authorized to pick up materials must have a government issued photo ID for verification. Customers electing to pick up merchandise from Moderncontempo location are responsible for providing a safe and adequate vehicle for transportation and assume full responsibility for pick up and transportation of merchandise. As a courtesy to our customers, Moderncontempo will assist with the loading of purchased merchandise; however, it is the customer’s responsibility to STOP the employee if he/she feels that the load is too heavy for the vehicle or is not otherwise safe. Moderncontempo reserves the right to refuse and/or cease loading service. The customer is SOLELY responsible for securing of merchandise and ensuring it is properly loaded and/or secured prior to leaving the premises. Moderncontempo is not responsible for damages occurring to vehicles while loading. If equipment or machinery is in use, the customer is required to stand at least ten feet away from the operation of any such equipment or machinery and to otherwise exercise diligence to protect themselves from harm. CUSTOMER ASSUMES FULL RESPONSIBILITY FOR LOADING AND/OR TRANSPORTATION OF MERCHANDISE AND RELEASES MODERNCONTEMPO FROM ANY LIABILITY, DAMAGES OR CLAIMS ARISING OUT OF CUSTOMER'S PICK UP AND/OR TRANSPORTATION OF MERCHANDISE. MAKE SURE TO INSPECT ALL MERCHANDISE AT THE TIME OF PICK UP. It is the customer's responsibility to inspect and verify the type of merchandise purchased, quantity, model number, color, dye lots for porcelain and ceramic products, and to verify all labels on wood product to ensure accuracy prior to leaving the store. Any discrepancies between the customer’s inspection and the purchased merchandise as reflected upon the sales receipt must be determined prior to leaving the premises and a manager must be notified. By signing your receipt at the time of pick up, your signature will constitute your agreement that your order has been received in FULL and that it is ACCURATE. Once you have left the premises, no exceptions will be made. Moderncontempo understands the importance of choosing the right product for your project. If you are not completely satisfied with your online purchase of our 3d panels simply return the merchandise to Moderncontempo within 30 days of purchase with a valid sales receipt, and we will refund your purchase, less the shipping charges to you. All returned merchandise must be undamaged in its original box and in resalable condition. Your refund will be processed by the same method of payment from your original purchase. Once a product has been installed, it cannot be returned. Moderncontempo is not responsible for product defect or damage, property damage or lost labor costs due to faulty installation. Claims for damage or shortages must be made upon receipt of product. Thoroughly inspect all products before installation, as use will constitute acceptance. Installed panels are considered the property of the owner/installer and cannot be exchanged or returned for any reason. Orders cancelled prior to shipping can be cancelled without penalty. If you decide to cancel an order, please call or email our customer service dept. immediately at 1.888 268 7521. Once an order has been loaded and is in route to the shipping address Moderncontempo will charge all applicable shipping fees as part of the return. The customer is solely responsible for all outgoing and return shipping costs. Any items returned without return authorization, including canceled orders and refused shipments, are subject to a 20 percent restocking fee. DO NOT REFUSE ANY SHIPMENT. If your shipment arrives damaged, call our customer care center at 1.888 268 7521 immediately for assistance with getting replacements sent to you. (Please see Damages Policy). If you refuse to accept an order, Moderncontempo will charge all applicable shipping fees as part of the return. The customer is solely responsible for all outgoing and return shipping costs. Any items returned without return authorization, including canceled orders and refused shipments, are subject to a 20 percent restocking fee. Moderncontempo offers two types of shipping methods. Option 1: UPS = Orders of products that are less than 13” and less than 75 lbs. Option 2: LTL (Freight) = Orders of products over 13” and more than 75 lbs. Due to the weight and fragile nature of our products, we do not offer any kind of expedited shipping options. Production Time is 5 Business days for most items. All orders shipped will take an estimated 2-14 business days’ transport time depending on location and distance from our warehouse. All orders can ship only to the customer billing address unless otherwise approved by Moderncontempo. All delivery dates will be based off the tracking number provided when the product is picked up and shipped out. UPS packages can be tracked through the tracking number provided. Freight shipments will call one day before delivery to schedule the time for the shipment to arrive. We will specify delivery with a truck that has a lift. All delivery dates and times are estimates. We highly recommend that you do not schedule your installer until you have received your product. Visually inspect the condition and entirety of the shipment, make sure to note missing items or damaged materials. The order confirmation emails you received lists all the materials and quantities you ordered. You will need to examine the shipment and count each item to make sure everything ordered has been received. Unless specifically requested (additional cost), all deliveries are curbside. This means that you (or someone able) must be home to take the material from the trailer to your home. The driver will only unload to the curbside and is not allowed to enter your home. Once unloaded, it is recommended that you store the flooring material in the location where it is to be installed. This will serve two purposes: 1) it will allow the flooring material to acclimate and 2) it will reduce the number of times you will have to move the flooring. Boxes of flooring material can weigh as much as up to 65 lbs. depending on the product. Moderncontempo boxes must be stored vertically and not propped up at an angle. If the driver refuses to wait, and even the most minor damage is seen on the exterior of the box or crate make sure to write on the Bill of Lading “shipment arrived & received damaged”. Taking into consideration the many variables in shipping, we strongly recommend that you do not schedule your installer until after you have received your order in its entirety. Manufacture times, weather, supply-demand conditions and replacement shipping for damaged items are just some of the instances that may delay your order. Please schedule your install to ensure you have allocated enough time to receive your order. We cannot be held liable for failure to meet scheduled install dates due to delivery. Delivery dates are approximates, and as such, cannot be promised under any circumstance. On the other hand, if there is a contractor working on the premises, make sure that he is there to receive the shipment. If you are planning on purchasing over 10,000 lbs of product in one order, please call our Customer Care Specialists at 1888 268 7521. We will get a quote specifically for your order. You have 14 days maximum storage on any completed order. Additional time left in storage will incur $10 a day in storage fees for each day the product has not been picked up after 14 days. Once an order has been loaded and is in route to the shipping address, Moderncontempo will charge all applicable shipping fees as part of the return. The customer is solely responsible for all outgoing and return shipping costs. Samples may take 3-8 business days to arrive.